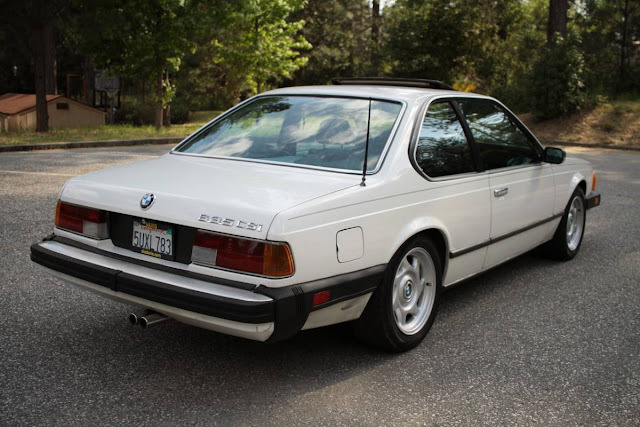 I'm no Nostradamus, but if you want a classic BMW in which to shove your hard earned cash, stay away from the over hyped M cars like the E30 and head over to the shark tank. Find this 1985 BMW 635CSi offered for $7,500 in Nevada City, CA via craigslist. 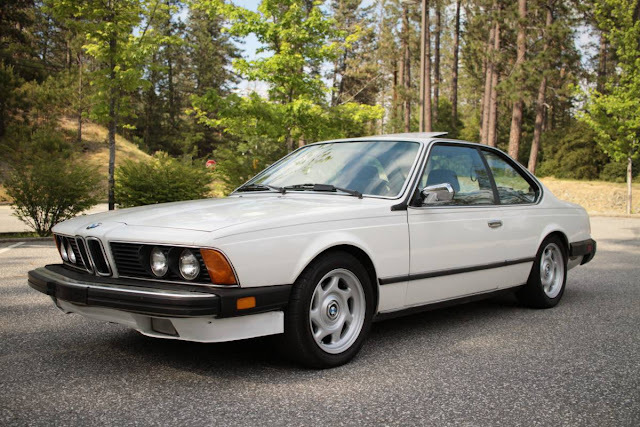 The E24 generation BMW 6-series has to be one of the best bets for future appreciation (or at least lack of future depreciation) in the world of classic German coupes. These things look great, are actually fast (3.5 liter inline-6 puts out 215 horsepower in the later variants) and drive like a modern car. Seems like a fair price. Something is going on with the front apron and I really dislike the us bumpers. I think the only replacement spoiler one can get is fiberglass. The 8 series wheels don't look too bad. Mine had the TRX weird metric wheels. Should have NOT sold this one WTF was I thinking?!?!?! These are thirsty so as a daily driver there are better choices. As a GT, these are fine machines, fast, comfortable, and handle well. My brother has one of these and it is a great car and better looking than anything BMW has built since.